You know what I love more than anything? (ok...that's way too definitive to possibly be true, but let's just pretend for a minute) Photography. More specifically? Iphone-ography. more specifically? Instagram-ography. But as much as I love snapping all those tiny pics, I get sad when the only place I can see them is on my tiny phone screen. I miss real prints. 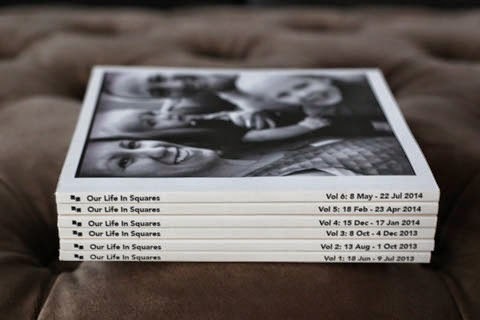 I want those little square memories turned into real live mementos. But you know what I hate more than anything (again...not at all possible that I've truly narrowed it down to my one true thorn...) spending forever saving, selecting, resizing, grouping, arranging, and printing those pictures. Way (way) back in the day I tried my hand at scrapbooking, but it can be monstrously time consuming, and equally expensive. 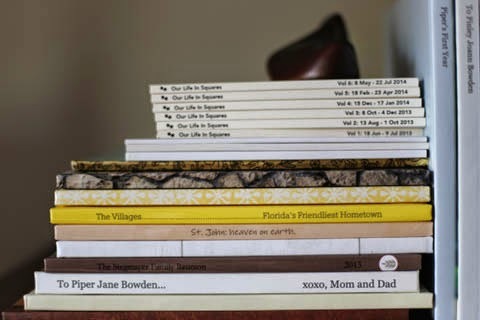 Then I got into making blurb books, which is noteably easier, but I still found myself agonizing over the details a bit (a lot) too much. 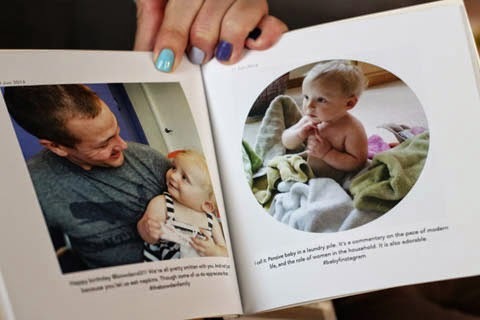 In case you haven't heard, Chatbooks is a new(ish) site/app that helps make cute little books of your pics. They're 60 pages of cuteness for $6. Yep. That's a Lincoln + a Washington (to be fair that could also mean 26 cents, but 6 bucks is still one helluva deal). That even includes the shipping. And the best part? It takes about 5 minutes to make them. Even someone who manages to overthink and belabor everything (me) can keep this simple. 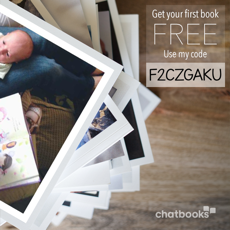 Download the app, pick the photos you want to include, choose your cover and write a title. Donezo. 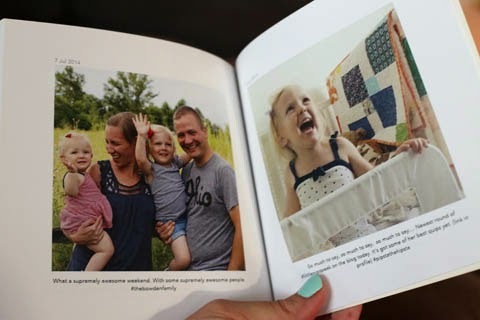 Chatbooks, Shutterfly, Blurb. You're all welcome here! Even better- I was able to include photos from Dustin's insta-feed too. 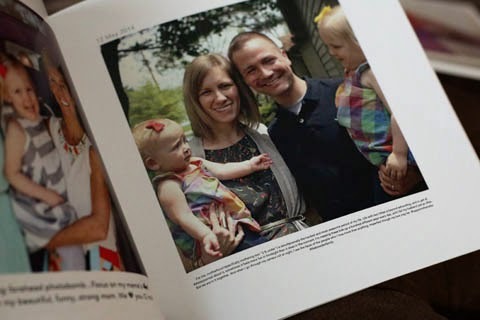 All of our photos combined in one place, printed out on real live paper, without hours of fussing over the details? Yes please. I'm not getting a kickback, or really a benefit of any kind by sharing...other than the joy of maybe saving you a few precious minutes, when trying to document a million precious memories. And my honest review: I'm impressed with the quality. At 6"x6" and 60 pages, they're small and thin, but the print clarity is good, and the matte feel and weight of the paper is nice. I miss the ability to combine multiple images on a page, and customize layouts, but what I gave up in control, I more than gained in efficiency. And my favorite FAVORITE part, is the captions. Previously, my Instagram books were photos only, so to have the captions automatically included under each photo is simply awesome. I love having the memories of the images, with the extra context of my original quips. Yes, there are a couple weird bits- emojis print out as black and white sketches, I accidentally selected to include location tags- which don't always translate directly, and some of my more long winded ramblings end up in size 2 font...but still...I can't say enough about the ease-to-quality ratio. It was all so simple, with such a great end product, that I can't complain about the nitpicky details. So I say: Go! 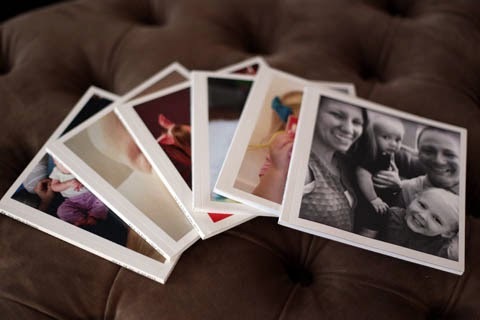 Print the pictures. Save the memories. And save some time. Thanks so much for sharing this! I use my iPhone for 99.9% of all the photos I take these days, and then I run my favorites through Instagram. 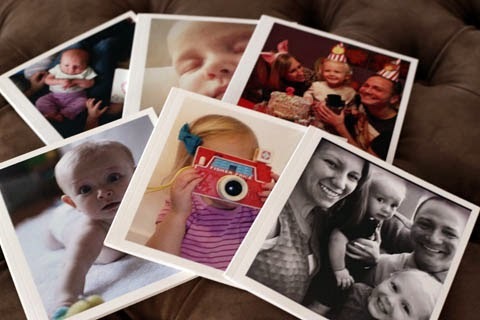 I recently discovered a service that will turn those photos into fridge magnets (super cool! ), so I've been printing my favorites that way. It's really brightened up the kitchen. But the books are a wonderful idea. And the fact that they come with the captions included? Pure genius!